Johnson's understands that as your child grows, their hair also changes and needs its very own special care. Even though your little one is active, her hair is still delicate and more prone to damage compared to an adult’s hair. It is likely to become sweaty, smelly, rough & tangled due to oil, dirt, & sweat, especially during play time. The ‘Soft & Smooth’ shampoo as part of Johnson's Active Kids shampoo range contains natural honey and wheat extract, so your little one’s hair stays more manageable and easy to comb! Explore the entire range of Bath Time available on Nykaa. 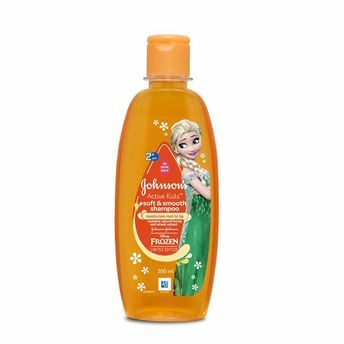 Shop more Johnson's products here.You can browse through the complete world of Johnson's Bath Time .Alternatively, you can also find many more products from the Johnson's Active Kids Soft & Smooth Shampoo range.